Uni-Tec® Model 200-S mechanical sphere and pig passage indicator featuring the use of a visual flag. The detector indicates the passage of a pig when the flag becomes visible through the view-port. Attached to the pipeline by welding a mounting base, the detector will function under all pressures, products, gas and is pressure balanced without the use of dynamic seals. The unit is designed for installation in existing pipelines in service and under pressure or for new pipelines. Utilizing stainless steel components combined with welding, the detector has only one moving part (the probe) thus insuring its continuous operation without maintenance. Units are provided with standard welded base properly scarfed to specified pipe diameter. Flanged and Weld-O-Hub mounting are also available. Extension shafts are available for underground installations or insulated pipes (Model 200-SE). Extended trigger mechanisms are available for oversized sections of pig launchers and receivers (Model 600-S). Extended trigger mechanisms are also available with moisture barrier o-ring and pipe cap for harsh environments (Model 600-SO). 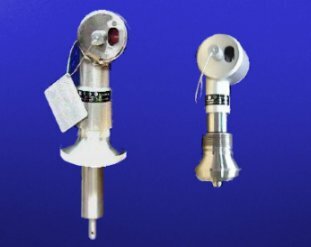 The detector switch assembly is hydrostatically tested at the factory to a minimum of 3000 psi. Higher test rating available upon request. Uni-Tec® Model 178-DS electric pig passage indicator features the use of a Model 100-S detector. 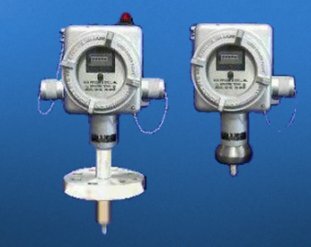 The indicator is actuated when a pigging cup, polyurethane foam pig or sphere in passing causes the detector probe that extends into the ID of the pipe to be displaced. The indicating light will stay on held by an internal relay providing remote status contacts and remote electric reset. The unit may be locally manually reset and tested by means of the "Test / Reset" switch. Units come in 24VDC or 120VAC models. Extension shafts are available for underground installations or insulated pipes (Model 178-DSE). Extended trigger mechanisms are available for oversized sections of pig launchers and receivers (Model 578-S detector). 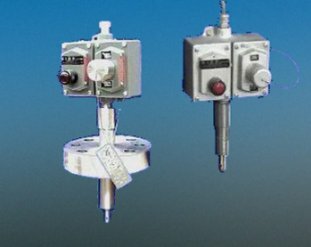 Special keying and tolerances available for Meter Prover applications. Uni-Tec® Model 178-DSC pig passage counter features the use of a Model 100-S detector. The counter will increment and the passage light will come on when a pigging cup, polyurethane foam pig or sphere in passing causes the detector probe that extends into the ID of the pipe to be displaced. The passage indicating light will stay on until locally reset by means of the "Test / Reset" pushbutton. Units come in 24VDC or 120VAC models. Uni-Tec® Model 100-SC pig passage counter accessory features the use of a Model 100-S detector. The counter will increment when a pigging cup, polyurethane foam pig or sphere in passing causes the detector probe that extends into the ID of the pipe to be displaced. The unit may be manually reset and tested by means of the "Test / Reset" mechanisum. Units come in 24VDC or 120VAC models.